Since 1975 we’ve had the privilege of serving Tulsa Oklahoma with our Stained Glass Designs. Occasionally one of those moment comes along that sticks with you for much longer! set for formal dedication on December 8th, at 1:30 p.m. One of only a few facilities like it in the Tulsa area, terminally ill patients can spend their final days in an inpatient setting when their care needs are more than their families can manage at home. What All Does the Catholic Charities do? Easier to list what they don’t do! But the following is a handful of the services the charities frequently provides: dental services, transitional hearing, pregnancy services, adoption services, outreach, immigration, maternity, counseling, emergency, and refugee services to name a few. There will be a dedication on Thursday at 1:30 at the site. As the premier Stained Glass company in Tulsa it is our privilege and honor to help decorate our local churches, charities, and hospitals. Not too mention our vast clientele of business and home owners. Check us out at TSG. This article is about Catholic Charities Tulsa. 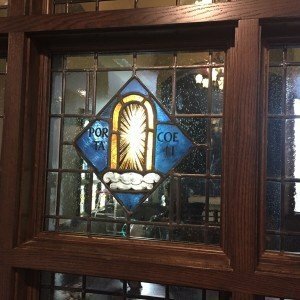 For more information on stained glass for your organization visit us here.